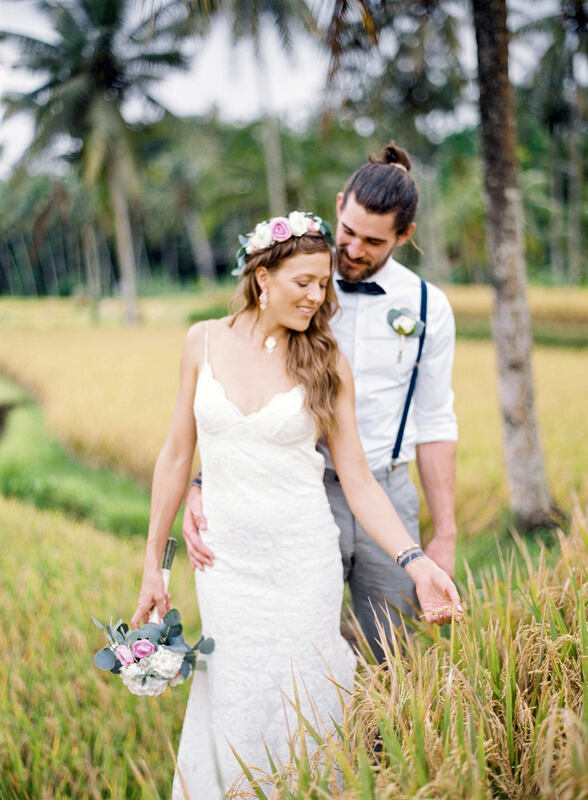 Fine art Ubud elopement photography of these beautiful yogis, Bre and Flo. 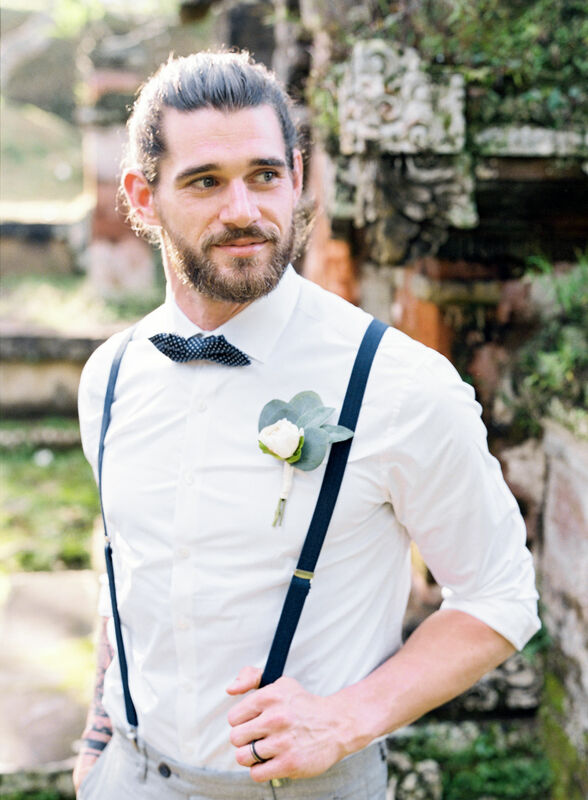 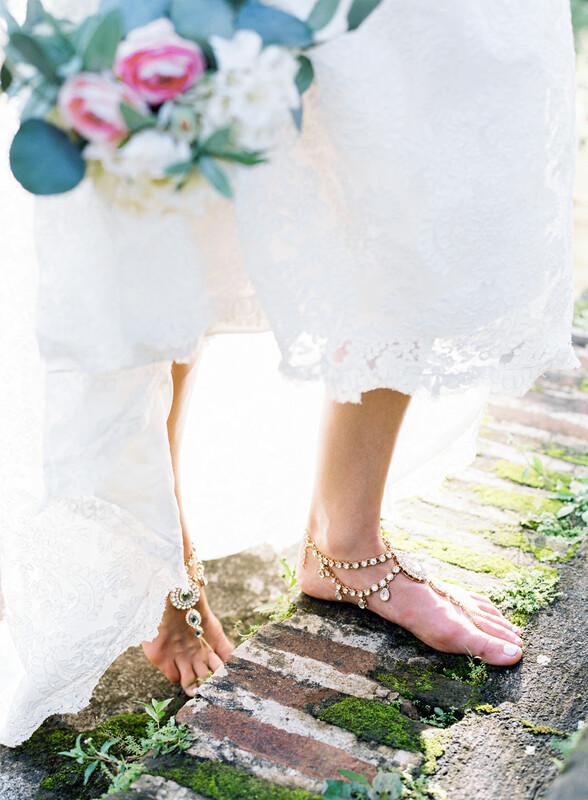 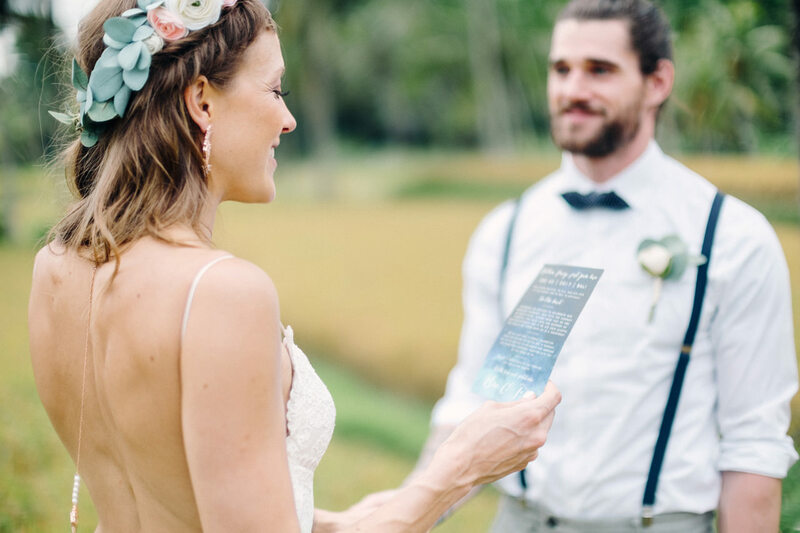 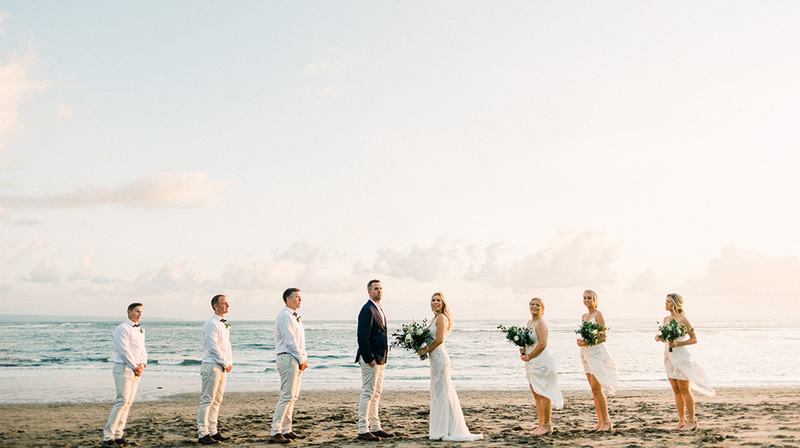 Everything about this fine art Ubud elopement photography was incredible. 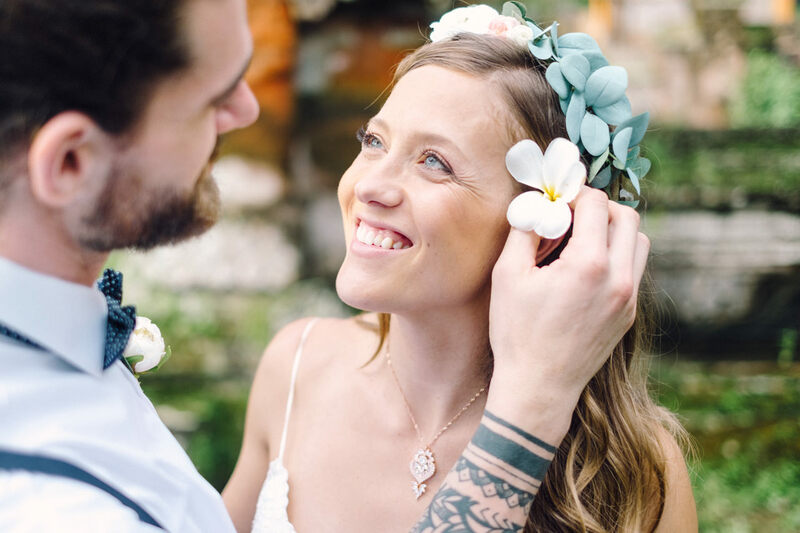 On top of that there was this spirit of Bali feel on our shoot location at Bali stunning temples that you could feel in every moments. 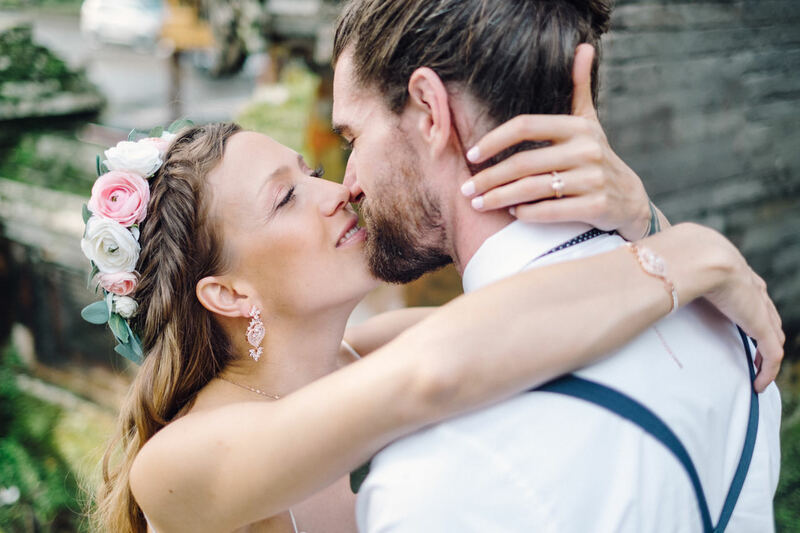 Elopements are always a fun escape for the couple where they can be very intimate and it’s just only two of them. 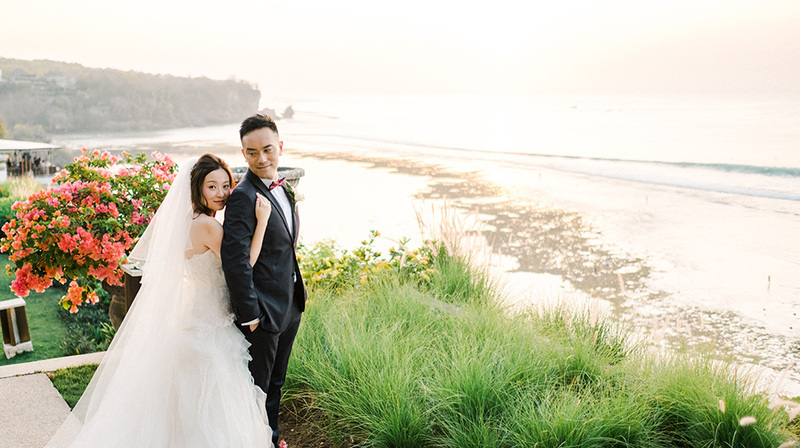 As their Bali photographer, I had an incredible time shooting these two souls that deeply in love. 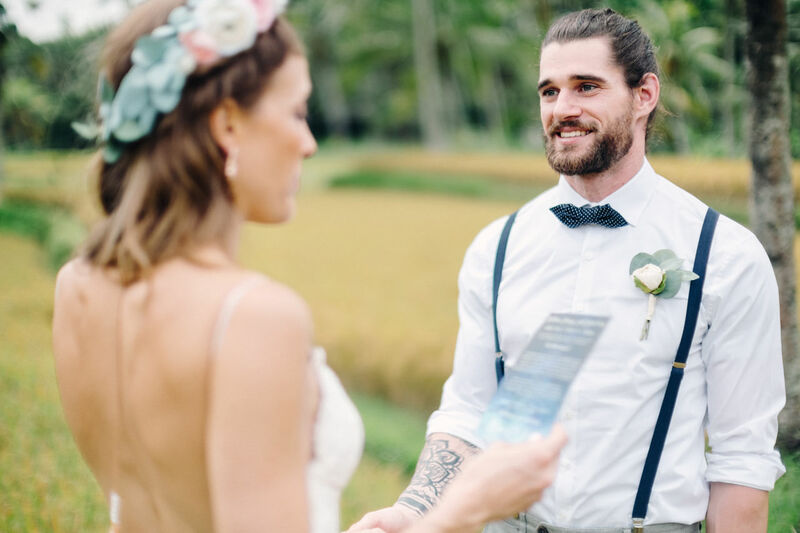 It was a day before Christmas in Bali, where Bre and Flo getting eloped in Ubud. 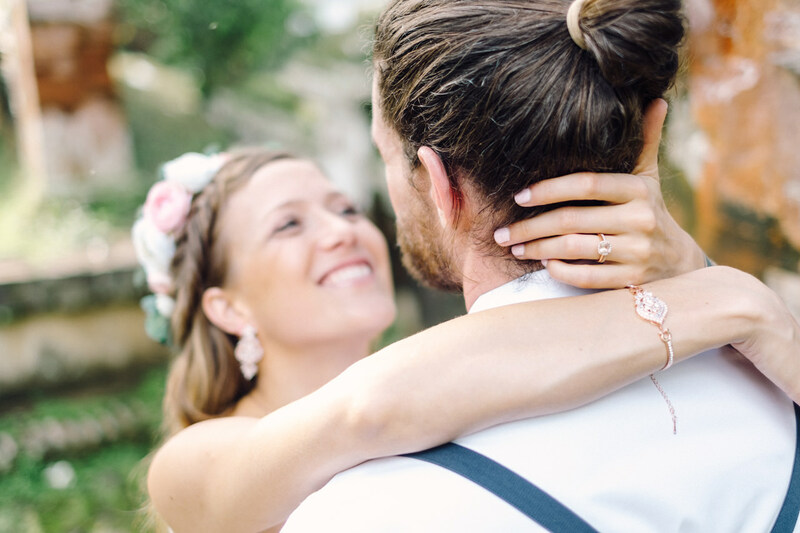 They are a very relax traveling yoga instructor couple. 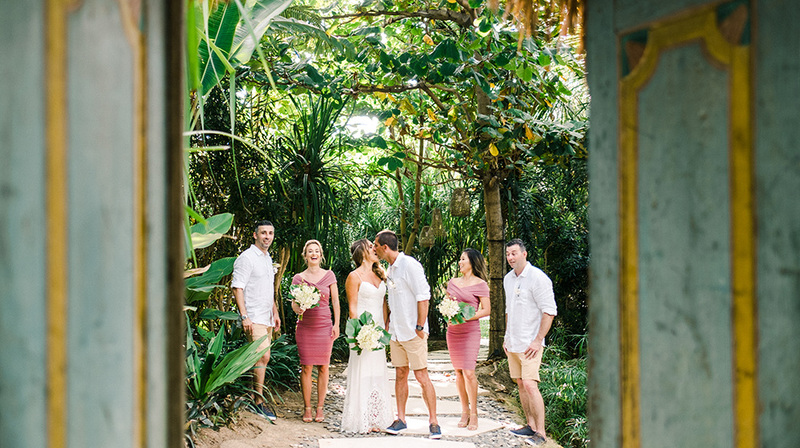 They’ve been travelled a lot together before finally they decided to elope in this beautiful island. 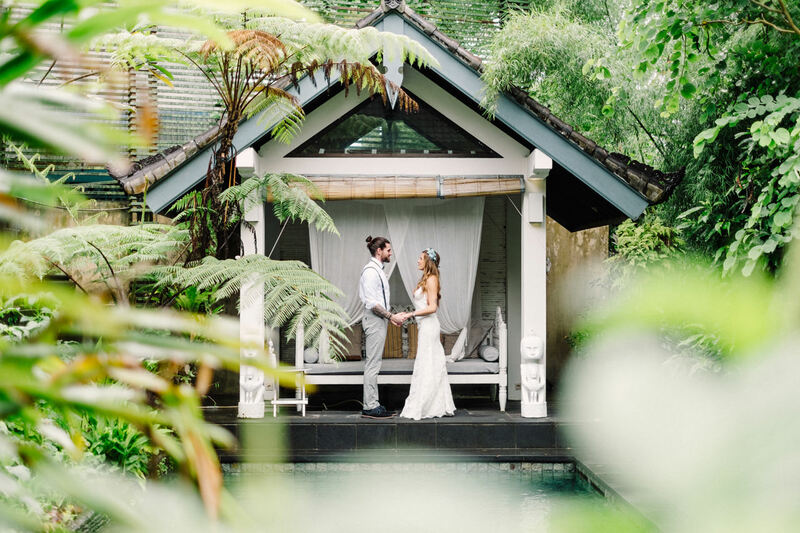 We start the session at their Ubud big airbnb surrounded by the misty jungle. 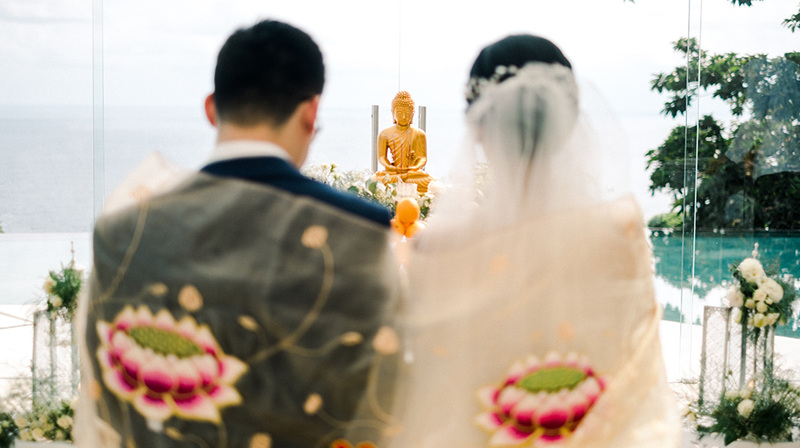 Then we move to the rice paddies, where they exchanged their vow. 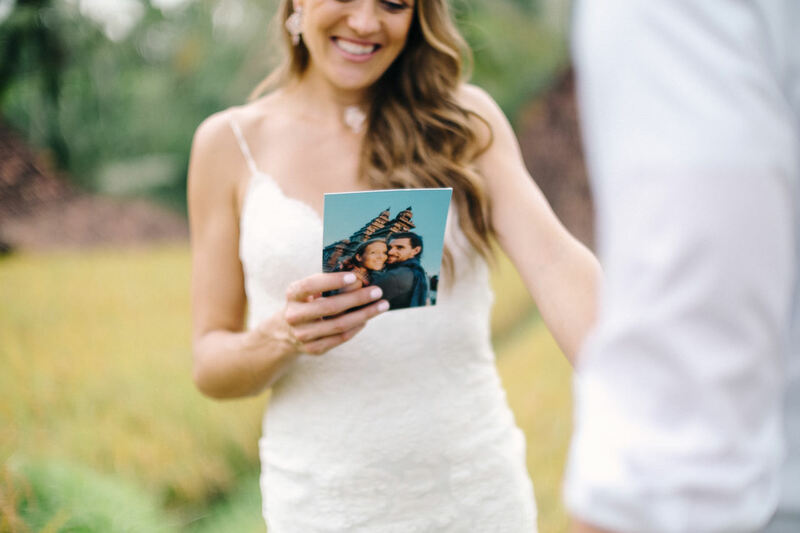 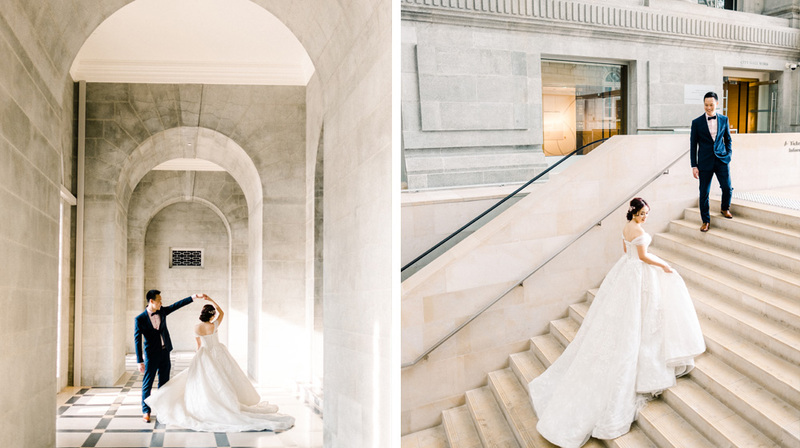 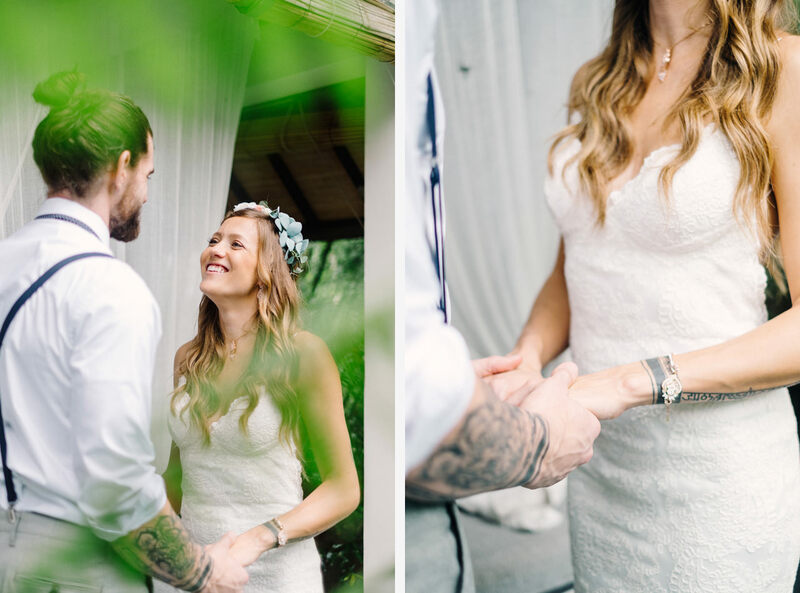 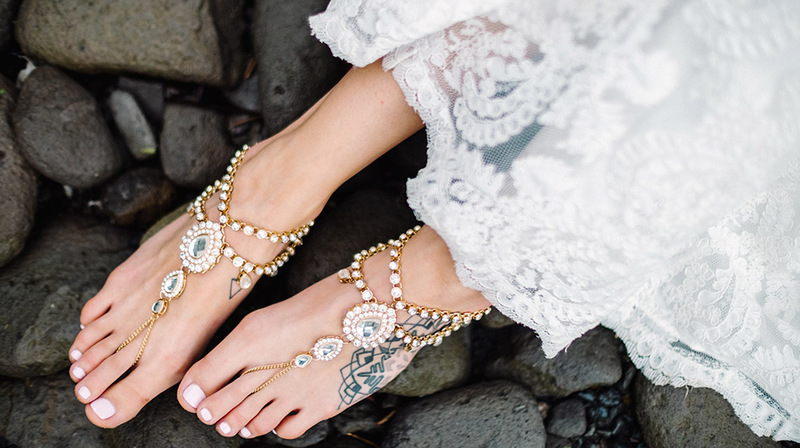 Their moment when exchanging the vow stole my heart… Bre looked elegant and stunning with her wedding dress, flower crown and her ankle bracelet. 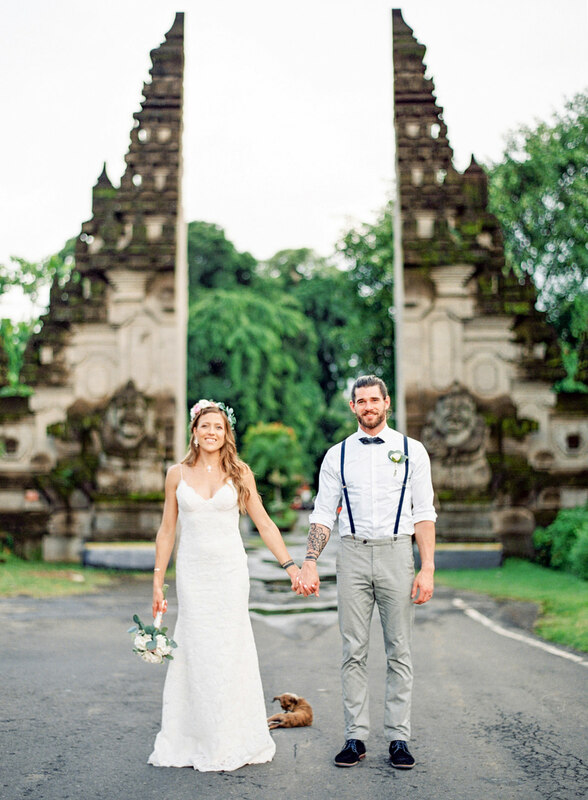 Afterward we headed to the most majestic temple Pura Samuan Tiga not so far from Ubud. 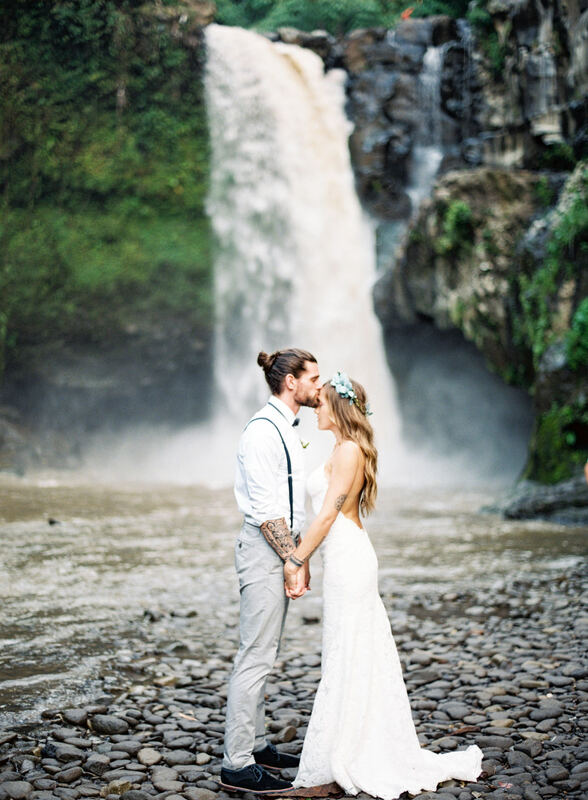 We ended this fine art Ubud elopement photography at Tegenungan waterfall.